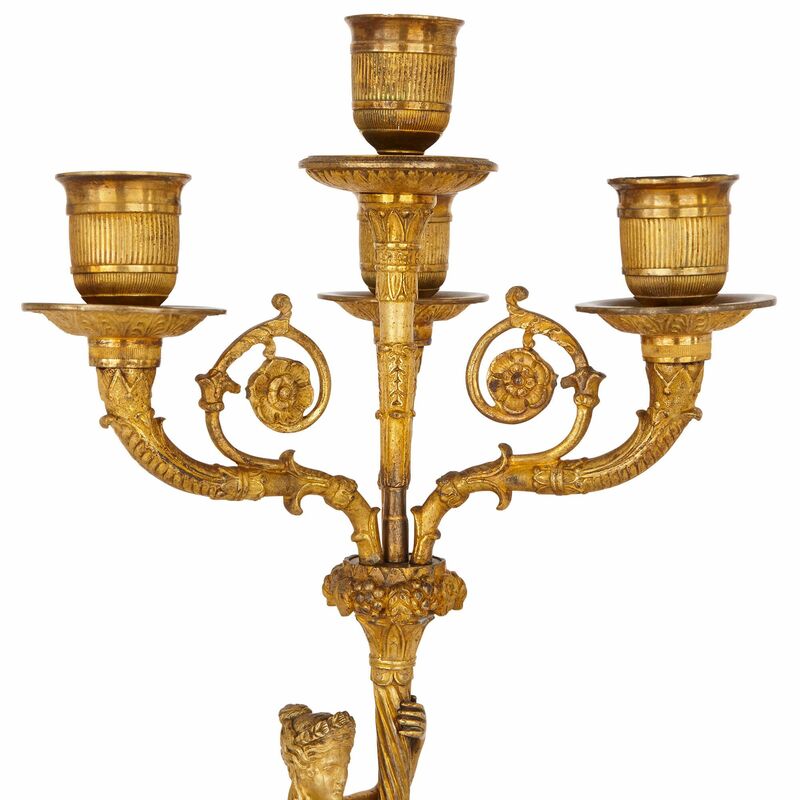 These French candelabra are cast entirely in lustrous ormolu and their design exudes the Empire period's celebration of ancient civilisations. 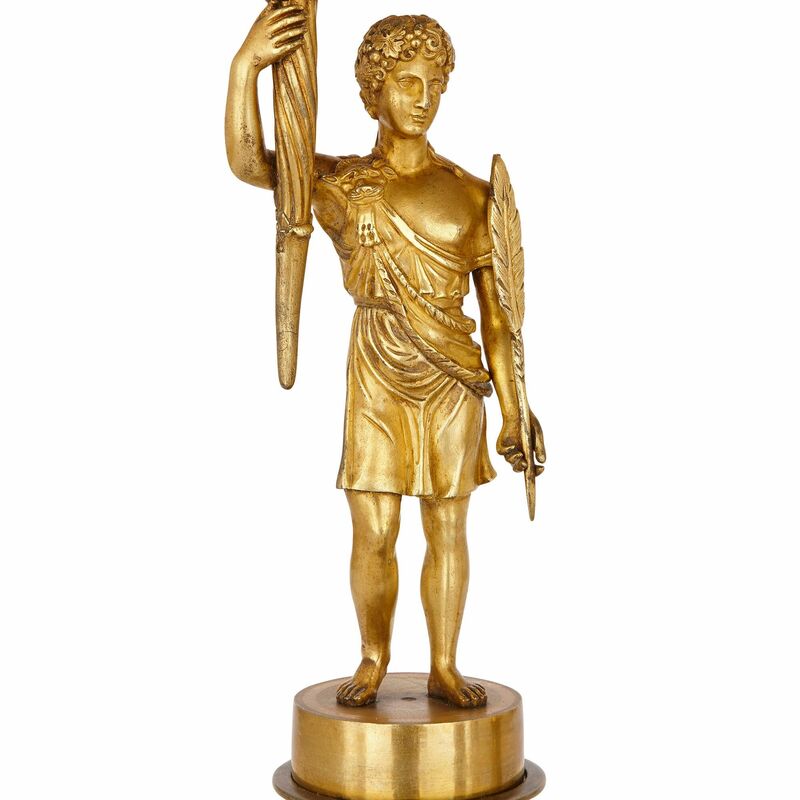 The ancient civilisations of the Greeks, Romans and the Etruscans proved a huge inspiration for the decorative arts during the French Empire period under Emperor Napoleon I, who looked to situate himself within the history of these epic dynasties. 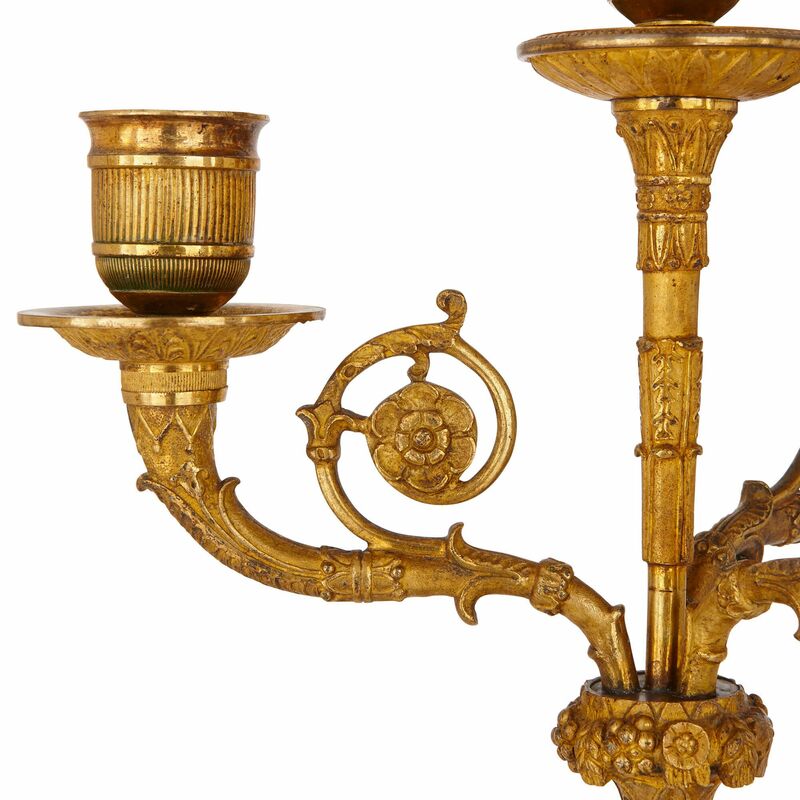 These ormolu candelabra, cast during the Empire period of the early 19th Century and in the typical style of the time, pay homage to Classical Antiquity. 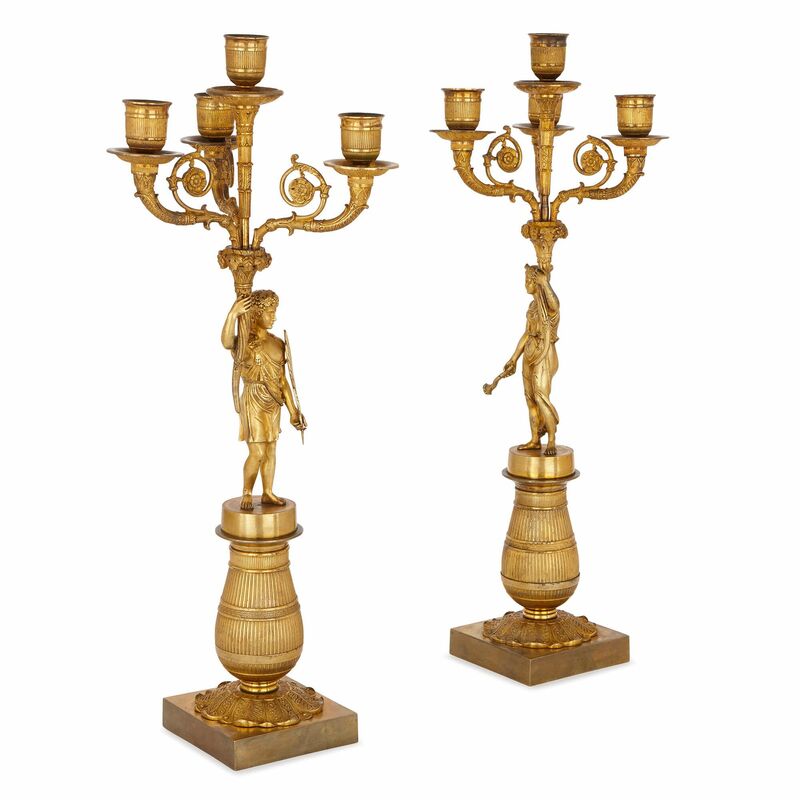 The candelabra are formed as Classical figures, one male and one female. 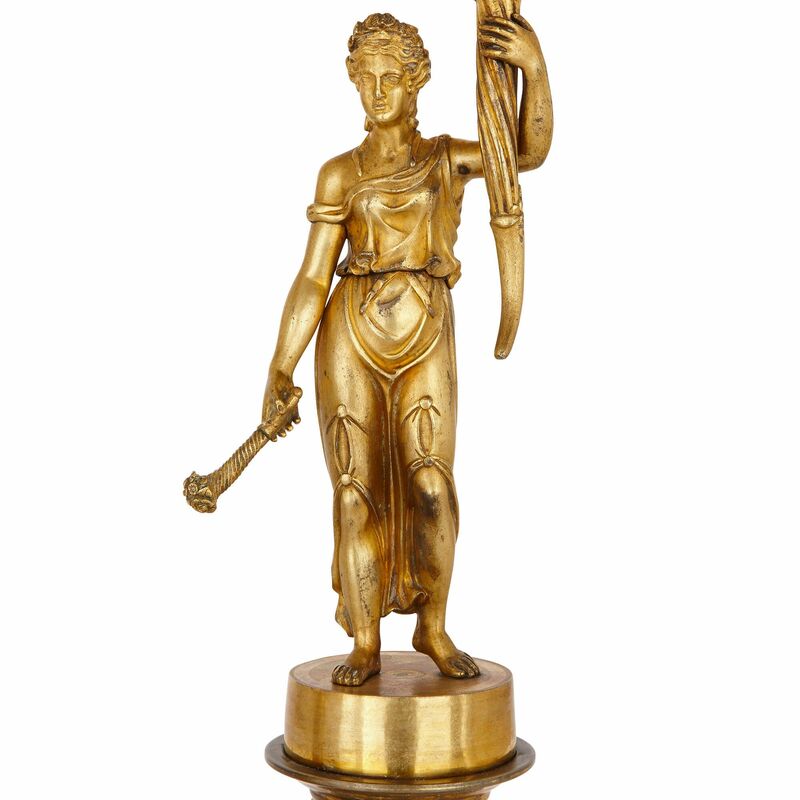 The male figure is depicted holding a quill in his left hand, whilst the female figure holds a slender bouquet of flowers wrapped in rope in her right hand. With their other hand, each figure holds aloft a large stem leading to four scrolling branches, each terminating with a light with drip pan. 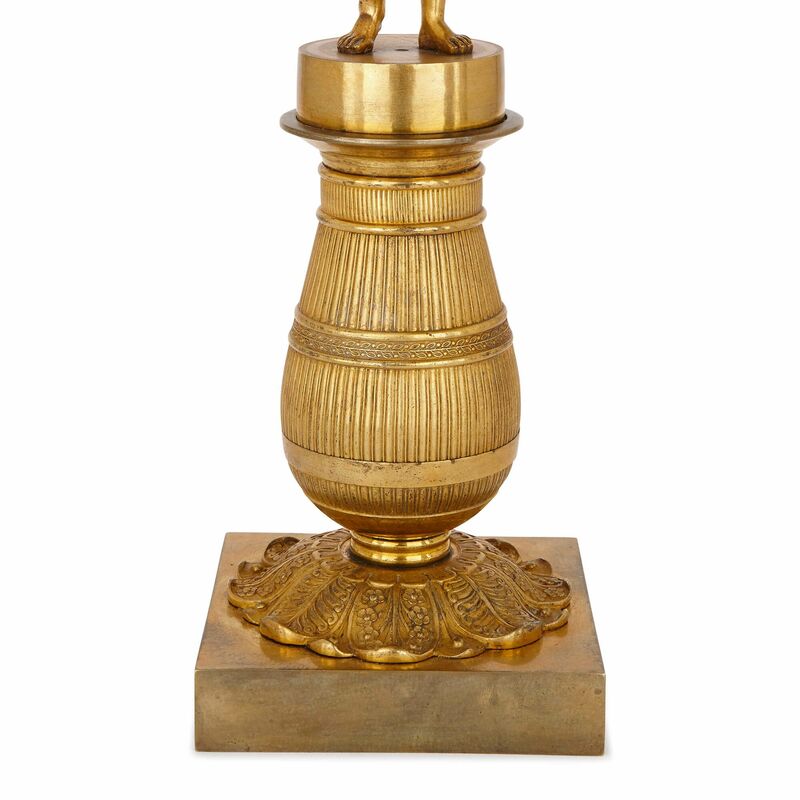 The figures stand upon ovoid urns, which are decorated with fluted details and bands of laurel leaves upon a circular foliate base formed of leaves. 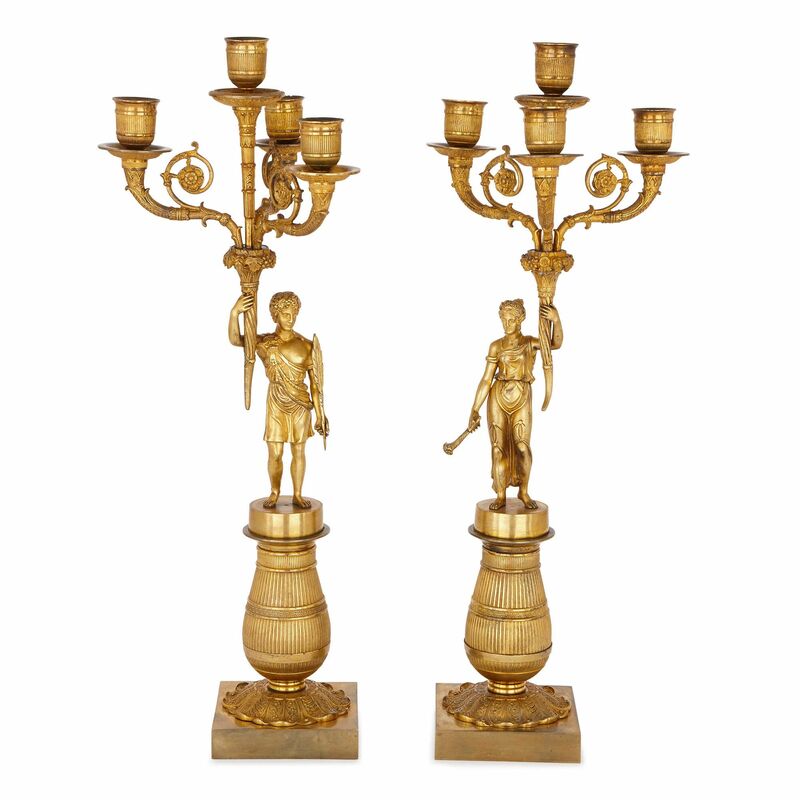 The candelabra are further set upon square plinths.